Our 2016 Subscription offering was a success, so we are adding it back for 2017 and making some improvements. The subscription service is similar to a CSA or Community Supported Agriculture model. You may already be familiar with this, but a CSA is where you, the customer, invests in the farmer (or in our case Producer) for the season. You pre-purchase a "share" before the season starts and in return, receive produce (or Spreads) throughout the season. 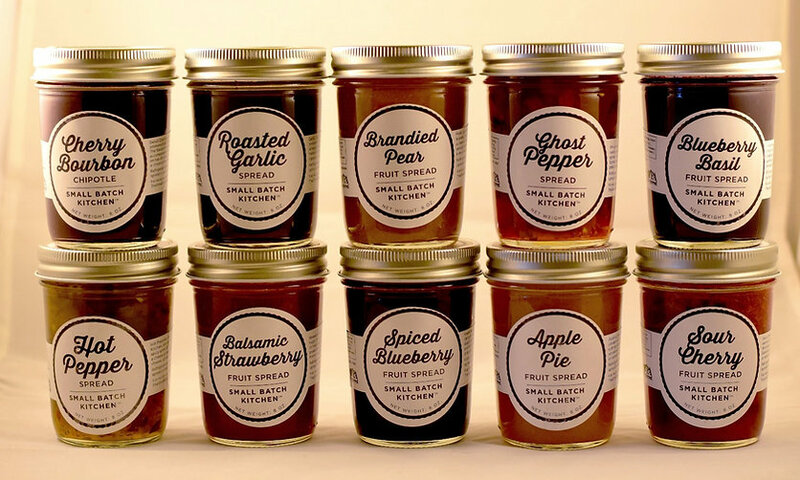 Just like farmers, Small Batch Kitchen invests a lot of money in our products before the finished goods hit the shelves; jars and lids, labels, and (most importantly) fresh, locally grown produce. Purchasing a subscription helps me bridge that gap, and focus on creating and cooking our low-sugar spreads and infused sea salts. Purchasing a subscription also allows me to offer you a discount over our regularly priced jars. Many Local Pickup Locations - The packet will detail the exact times and locations of markets, but we already know that we will be attending the following markets. In addition to lots of local festivals and pop-up/guest market appearances. Product Updates - Subscribers will be the first to hear about new and limited release flavors - so you can be first in line for a new flavor. You will also be notified about any special events, and may be invited to participate in taste-testing flavors or recipes that are in development! We've also added a DELIVERED Subscription option this year. Shipping dates are detailed in the item description on our store page, but you get the same benefits as above - including 1 jar free for every 12 jar subscription purchased.